Is China's New Computer Operating System a Threat? China has announced it will introduce a new computer operating system in October to replace Windows. Already deeply embarrassed and unhappy over alleged spying on its computers by the US Government, China has vowed to take action. Its first step was to stop government agencies from using Microsoft's most recent Windows 8 on their machines. But its latest project, to replace Windows altogether puts China into a new category as challenging US dominance in the ultra-sensitive computer operating system league. Controlling computers today is part and parcel of political power, and China understands this. That's why China is not only replacing Windows, but it wants to get rid of Apple's iOS and Google's Android too. China has three related opportunities and can be expected to exploit all of them. 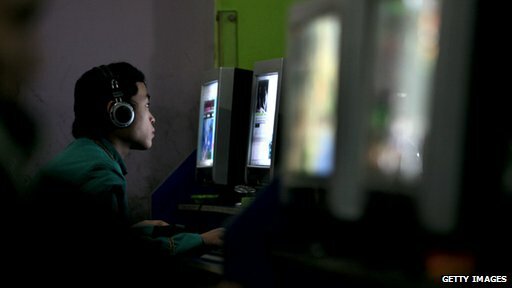 The first involves better controlling China's domestic computers and mobile devices by regulating through the operating system what users can, or cannot, do. China is likely to achieve this through a strongly controlled computer software registration system managed not by Microsoft, Google or Apple but by the Chinese government. China will gain many benefits. It will have tens of millions of users virtually on launch, and it will control all access by being able to directly regulate software and applications that run on its approved operating system. Likewise, China will likely build in some sort of encryption system linking computers to the Internet, which will create problems for any outside organization to penetrate. And China will stimulate development of domestic software alternatives to Western software products. China will also gain vast experience in how to manage an operating system evolution, how to fix vulnerabilities, how to add features, and how to support software in the field. This will grow a domestic industry that will rapidly mature and will benefit the Chinese state. Beyond its domestic market, China will be able to look to introducing its software in the global market. China can find a number of opportunities to spread its operating system in many parts of the world. For example, it could potentially challenge both Microsoft and Android computer laptop platforms by offering a cheaper and stronger operating system to users. Price is a big factor in low end laptops and netbooks. China controls most computer manufacturing today. Put an operating system on top, especially one that is open enough to support popular software and social networking products and China could well have a winner. Of course, China's commercial OS will be different from the one it promotes internally, but this can easily be handled especially if registration and OS downloads are managed by a location-sensitive server. A third an even bigger opportunity for China is to team with a non-American foreign company to offer an "independent" operating system to customers. This may prove to be attractive to a European partner because the Europeans are quite unhappy with American spying, and they have far less concern, if any, about China than America has. There are plenty of large European companies who are, in the IT world, always playing second fiddle to the U.S. Here is a great chance for them to get ahead. And they can do it on the cheap, since the software investment will be heavily China's operational and financial responsibility. Where does this leave US companies? Certainly China will emerge as a heavy weight challenger to the likes of Microsoft, Google and Apple. But it is not just US companies that matter here. The loss of control over where operating systems come from could pose a security challenge for America's intelligence agencies that will be formidable and hard to overcome. While that is still in the future, it would be foolish not to prepare ourselves for the problems on the road ahead.